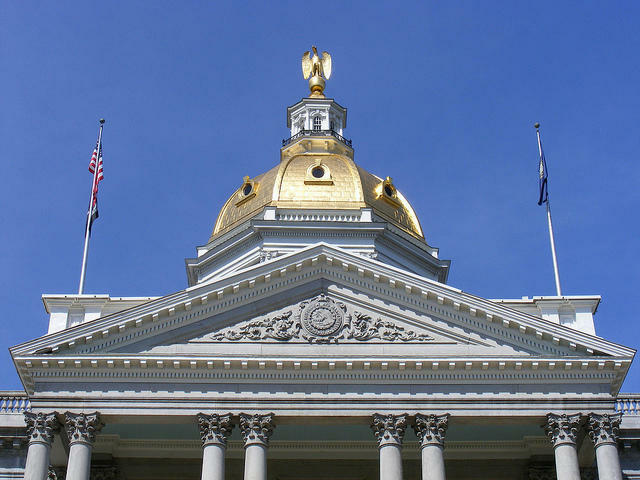 Lawmakers in the New Hampshire House heard testimony Wednesday on a bill that would roll back some elements of a controversial new Medicaid work requirement. The new work requirement, set to fully kick in this summer, will require some people who get their health insurance through expanded Medicaid to complete 100 hours of qualifying activities each month or risk losing that coverage. A bill before state lawmakers would suspend the work requirement if more than 500 people lose coverage because of it. It would also add more exemptions, including for people who are homeless, grandparents who are foster parents for their grandchildren, and full-time students. The bill's sponsor, Democratic Senator Cindy Rosenwald, says the changes are in part a reaction to what happened when a similar work requirement went into effect in Arkansas last year. In that state, more than 18,000 people were kicked off the rolls for non-compliance. "I think we all want to avoid a situation like we've seen with Arkansas," said Rosenwald. Christine Stoddard, with the Bi-State Primary Care Association, told lawmakers that while her organization is opposed to the work requirement altogether, this bill would improve it before it fully goes into effect this June. "It's pretty clear that there are going to be little hiccups here and there. I think there might be bigger hiccups than little hiccups," said Stoddard, "but we want to make sure that the program is as good as it can be if it is in fact going to remain in place." Rosenwald's bill earlier passed the Senate on a party-line vote. New Hampshire's work requirement is currently being challenged in federal court. Judge Strikes Down Medicaid Work Requirements in 2 States—Could N.H.’s Be Next? The future of New Hampshire's Medicaid work requirement may be in doubt following a federal court decision that struck down similar work requirements in Arkansas and Kentucky.